The Penrith District Netball Association are celebrating this week after they won their first State Age netball title in 20 years. Not since 1998 have Penrith finished in first position, with their U12 Championship Division team crowned winners at the 2018 Netball NSW State Age Championships in Liverpool on Monday. Penrith’s group of talented youngsters finished on top of the U12 Championship Division standings after going through the entire competition undefeated. Manly Warringah finished runners-up. Speaking with the Weekender, Penrith Netball President Joy Gillett said she was overcome with emotion following the side’s historic win. “This was the first time we’ve finished first in one division and runners-up in another (U15s). 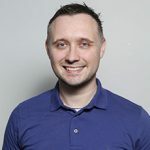 It was a culmination of a lot of hard work over the last four years – it’s exciting,” she said. “The girls were absolutely over the moon after the tournament, they were cheering and were totally pumped. But Penrith’s outstanding run at this year’s State Age Championships didn’t end there, with their U15 Championship Division team finishing runners-up to Liverpool City. The local association also had two other teams competing, with their U13’s side finishing 12th and U14’s team finishing 11th. 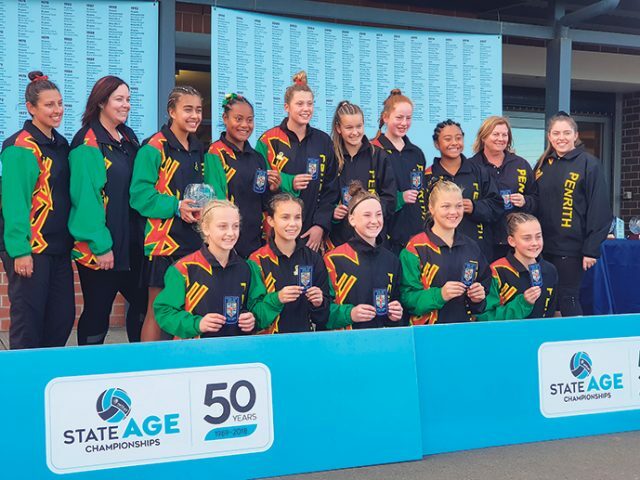 Since first being staged in 1968, the State Age Championships have grown to become one of the largest female sporting events in the southern hemisphere, with four separate venues now required to host the 2018 competition. Liverpool City hosted the Championship Division, Camden and District hosted Division 2, Eastwood Ryde hosted Division 3 and Inner Western Suburbs hosted Division 4. 44 teams, representing 10 associations, contested five age groups during the inaugural tournament 50 years ago, with a whopping 300 teams and 88 associations in action this year.